The objective of this journey was to travel to the European Parachute Championships and World Cups held at Teuge, Netherlands. The results of the competitions are here. There were teams from all over the world, Australians, Qataris and a wide representation of European countries. A tent city had been created providing shaded (and dry) places for the teams arranged around a central food tent. 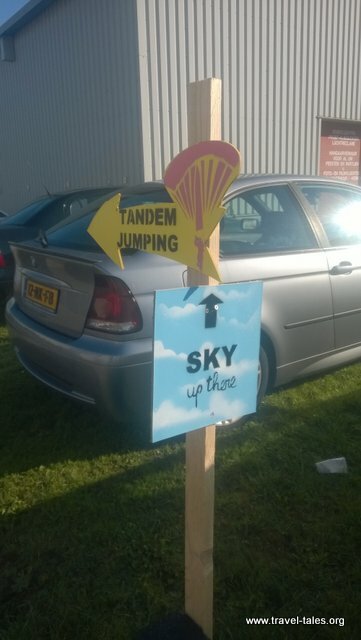 The organisers provided helpful signposts around the dropzone so nobody would get lost. I was there to train and be evaluated as a Speedskydiving judge and am pleased to have passed the evaluation.